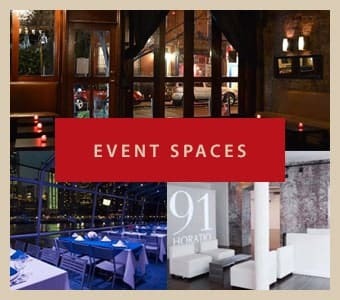 Have your wedding reception or social event with theme stations throughout your event space. The Tuscan Table is a great starter for your guests to enjoy. The Tuscan Table includes Imported Italian Meats and Fine Imported Sliced Cheeses, Colorful Bowls of Mixed Olives, Roasted Red Peppers, Artichoke Hearts, A Basket of Fresh Made Baked Pita along with our Famous Homemade Hummus, Crispy Fresh Baked Tortilla Chips Served with our Homemade Guacamole with Texas Style Salsa, Organic Market Fresh Vegetables with our Delicious Spinach Dip in that which we can ensure will be a crowd pleaser, with handpicked Fresh Fruits and Vegetables garnished around ,Served with Oven Garlic Homemade Crackers and Bread Sticks. Choice of Three: Tortellini, Penne, Tri Color Rotini, Farfalle or Fusilli Pasta. Choice of Three: Homemade Marinara, Alfredo, Olive Oil with Garlic & White Wine, Vodka Sauce, or Pesto Sauce. Imported Sweet Italian Sausage, Marinated Chicken and Grilled Cajun Shrimp. Served With Pecorino Romano Cheese, Fresh Crushed Peppers, Basil and Basket of Artisan Bread. Fresh Marinated Grilled Chicken Breast and Spicy Caribbean Shrimp. Served with Over Size Platters of Mixed Greens, Organic Roman Lettuce, Fresh Picked Baby Spinach. Served with Over Sized Garlic Croutons, Tomatoes, Carrots, Cucumbers, Sliced Black Olives, Pecorino Romano, Parmesan and Gorgonzola Cheese, Scallions, Artichoke hearts, Roasted Sweet Peppers, Sweet Baby Peas, Fresh Sliced Mushrooms. The Raw Bar Features some of New England’s Freshest Seafood which includes Fresh Shucked Native Oysters, Sweet Littleneck Clams, Fresh Jumbo Shrimp Served over a Bed of Ice with Fresh Lemons. Pamper your guest to our Homemade Mini Dessert Bites which will be a crowd pleaser. The desserts include, Assorted Fine Italian Mini Pasties, Milk and Chocolate Chip Shots, Mini Mosses Shot and Fresh Butter Cookies. Old-Fashioned Vanilla & Chocolate Ice Cream. Chocolate Sauce, Caramel Sauce, Crushed Oreo Cookies, Peanuts, M&M’s, Stemmed Cherries, Rainbow Sprinkles and Whipped Cream.